Partnership is what we call membership at Veritas. As Partners, we are co-laborers together as we seek to love God, love people, and advance the Gospel together. 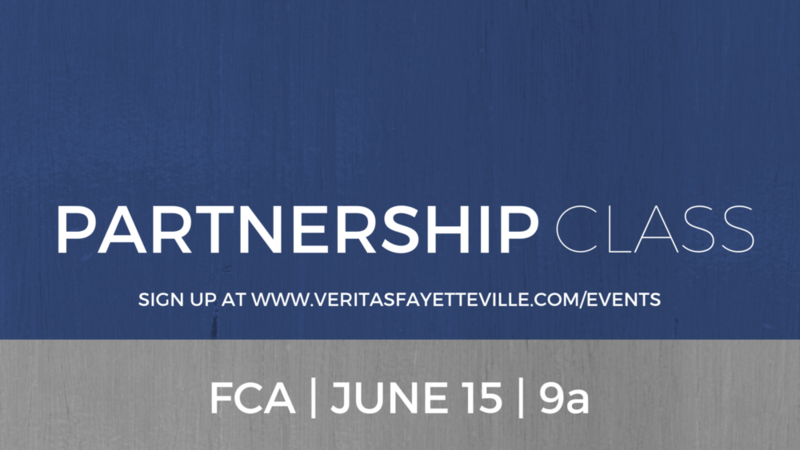 At our Partnership Class we’ll talk about why we use the term “partner” rather than “member,” what it means to be a part of a local church, what we believe, and what it looks like for us to partner together for the fame of Jesus at Veritas. You’ll also have an opportunity to ask any questions you may have as you consider Partnership at Veritas. Please fill out the RSVP form below when you get a chance. We are looking forward to seeing you!